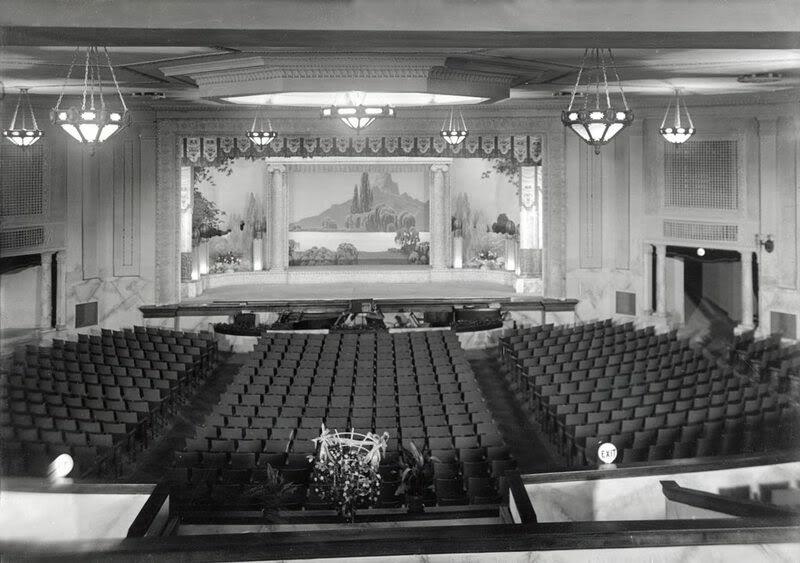 Before it was a popular northside concert venue, the Riviera was a theatre in every sense of the word. From Cinema Treasures: Initially the Riviera was to have been operated by the Jones, Linick & Schaefer chain, which operated several Loop movie houses in the 10s and 20s such as the Orpheum, the Rialto, and the McVickers. However, the Riviera ended up becoming the second major theater of the Balaban & Katz circuit. ... Featuring movies accompanied by an orchestra, the Riviera also featured “high class” musical acts onstage. The theater mainly catered to the upper-middle class residents of the Uptown area, especially women. [It]continued to remain one of the neighborhood’s most popular movie houses for decades, even once the 4500-seat Uptown Theatre practically next door.